Greenfields Albert Park Opens In Style — everAFTER magazine everAFTER magazine celebrates and inspires a couple’s journey from their engagement through to their wedding day and beyond including lifestyle and travel. Wedding venues, bridal, fashion and styling inspiration. everAFTER magazine celebrates and inspires a couple’s journey from their engagement through to their wedding day and beyond including lifestyle and travel. Wedding venues, bridal, fashion and styling inspiration. 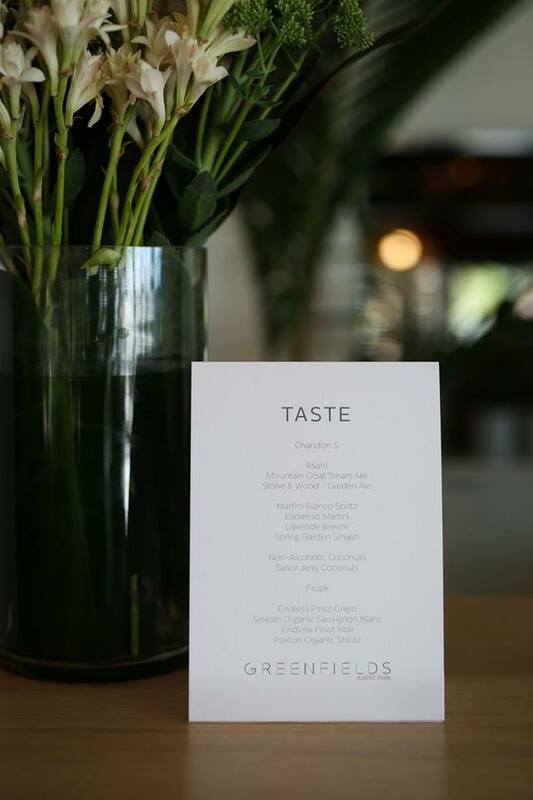 New lakeside venue Greenfields, Albert Park celebrated its opening in style with a summer soirée media launch. Located in the heart of Albert Park, Greenfields is a new, alternative venue for weddings with an ample number of spaces to choose from, including the sprawling lawn and expansive outdoor deck. Guests were treated to Chandon, cocktails and canapés throughout the evening and were able to sit back, relax and enjoy the panoramic views of Albert Park Lake, Albert Park Golf Course and its surrounds all the while listening to cool tunes. Greenfields features an open format sun room as the main event space which is lined with large glass windows.